Just like the paper dolls you had when you were a kid. Each box contains three cardboard dolls named Jack, Beth and Sue. 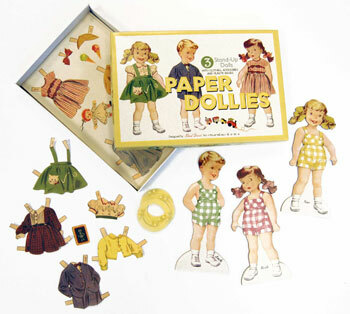 Each doll has oodles of paper outfits & accessories to cut out and dress them. Also included are three plastic stands.